"The tour signals the start of our most exciting time of the season," said Bertagna. "Everyone starts the year with the goal of making it to the TD Garden. Now the stretch drive begins." 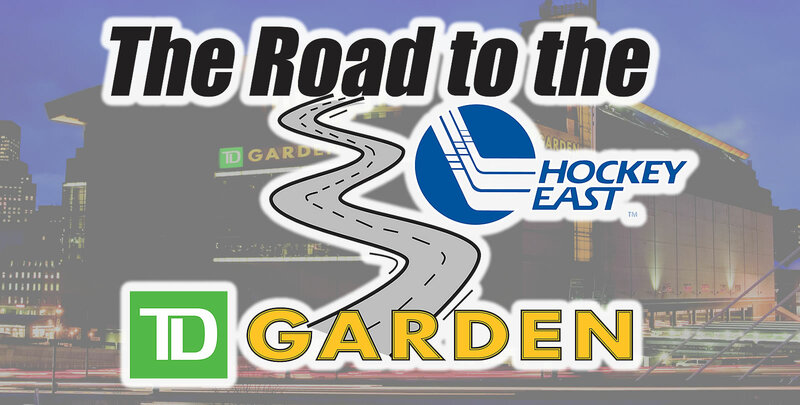 Hockey East Tournament semifinal games will take place Friday, March 22. Puck drop is scheduled for 4:00 p.m. and 7:30 p.m. Ticket prices start at just $17 in the balcony, $ 39 in the loge, and $43 for club seats and the first row of the loge. Semifinal tickets include admission to both semifinal games. Winners of the semifinals will advance to the Hockey East title game, set for 7:00 p.m. Saturday, March 23, to determine the winner of the Lamoriello Trophy. Student tickets, located in the upper balcony, will be made available for $10 when showing a valid student ID, either on campus or at the TD Garden Box Office. Groups of 15 or more are also eligible for a $5 discount on $17 balcony seats and a $7 discount on select loge seats. All discounted tickets must be purchased at the TD Garden Box Office. To take advantage of group discounted tickets, contact the TD Garden group sales department at 617-624-1805 or groupsales@tdgarden.com Tickets will become available on the campuses beginning on Monday, March 12 when the four remaining schools are identified. The winner of the conference tournament receives an automatic berth in the NCAA Division I Ice Hockey Championship Tournament. For more information, contact Marisa Maccario via email at intern1@hockeyeastonline.com or phone at 781-245-2122.